Someone once said you shouldn’t try to be a writer unless you must be a writer. I think this is so, for most people anyway. Of course, if you have a day job and time on your hands between responsibilities, and you have some ideas, why not give it a shot. I’m just saying don’t try to make it career, your big goal, unless writing is a compulsion, is part of your very being and won’t let you alone, because writing is usually too difficult to do unless you must do it. Yes, this cautionary note is a little more uncertain now because there’s the new publishing, in the form of ebook and POD self-publishing, and some people do seem to have successfully (for now) homesteaded that frontier. But most will just be spinning their conestoga wheels; most people probably won’t get much traction in self publishing. I remember seeing a post from a beginning writer on facebook who’d self published his ebook; he’d told his five hundred facebook friends that the book was out and yet…unbelievably…it seemed no one had ordered it. He then posted something like, “I’m going to give everyone a last chance at this book…” Here was a guy who’d underestimated the vagaries and variabilities and sheer treacherousness of the freelance writer’s path. 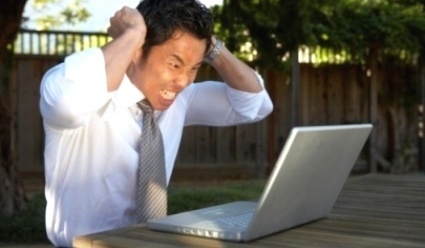 He’d heard that self publishing ebooks had created a few hot sellers and he assumed it applied to everyone. But there are imponderables…always. And chances are one’s book is not as appealing as one thinks it is. Don’t place a lot of stock in creative writing classes. They might get you to write creatively, but don’t imagine you'll learn how to write anything you can sell there. It isn’t likely. Of course saleable writing is also creative—but having expressed yourself creatively (which is not necessarily expressing yourself well) is not enough to crack the marketplace. professionals— may be more worthwhile. Some writing workshop—those run by professional or at least published writers or with serious participation by same—are also useful. The Clarion Science Fiction and Fantasy Writers’ Workshop is a good one. This is a real writing workshops, and there are others, like the Iowa Writers’ Workshop and the Johns Hopkins University Writing Seminars. At any good workshop you'll have a lot of people reading your stuff, as well as the pro(s), and they ‘workshop’ it ruthlessly. It’s painful—but it helps. Be ready for painful. Painful is good. Not all editorial input is right, but, especially when you’re starting out, most of it usually is more or less something you need to know—even if it’s only how the editors (or workshoppers, i.e. readers) think. My advice, though, is to go through that process only after you've finished something—a beginning, middle and end of a short story. Finish one reasonable draft. You have to let fiction flow. You have to get it out of you. It’s this big shape that comes out of your head—maybe when you are done it will be a Madonna and Child, the Thinker, some work by Brancusi, whatever analogy you want. But when this lump of misshapen clay first emanates from your forehead, in the best Jovian manner, it will be malformed; you step back and see it's almost the shape you want, but not like it really. You then get out your self-editing tools and ruthlessly slice at it to make it into that Platonic ideal lurking in your inner person. But, in my experience, you have to get the general shape of it out first before you can make it into the specific shape. If you agonize over every paragraph you write as you write it, you may not write the next paragraph. You’ll probably get hung up and lose your momentum. If you’re writing a novel then you'll probably want to finish a chapter, revise the chapter once, then go onto the next—then revise the whole damn thing once finished with the book. People are different—especially with longer works—and some will express the whole book without going back till the end; others will revise it in sections. Most writers, I think, writing a long work, re-read what they wrote the day before in order to pick up the continuity smoothly, to make changes, to get back in the voice. Being aware of tone and voice is vital for any work of fiction, of course. But again much fine tuning associated with tone and voice can be done after the initial drafting. Well, this was pretentious as all Hell, and sounded silly, no doubt, especially as I didn’t know much about writing at the time. However, it turns out that when I think back to the ludicrous behavior of my youth, when I wincingly consider my jejune fancies and mile-a-minute images and insights, I sometimes see, besides boyish foolishness, that I was, after all, quite right—at least about some of it. Being a bit of a misfit, I had nothing to lose, so I just tore open my frontal lobes and let the impressions pour in and the corresponding ideas pour out, with very little preconception. The results were highly uneven—but sometimes, because I didn’t know I could not do a thing, I could do it. And I did. And, in fact, I was right to try to “eat with my eyes”—that is, to look around me without expurgation, with the maximum intake and honesty, with the assumption that the normal way of looking at life is muddied—and that it’s possible to see more, always more if one looks hard enough; if one gets out of the way of perception. And this has served me. So, I advise writers to do the same: to start with the assumption that they’re not really so conscious as they think they are; not so perceptive as they think they are. To make a conscious, deliberate effort to look at things they are used to and see them in ways they are not used to. To see the extraordinary in the mundane—not necessarily the fantastic, but the deeper reality. It is there if you look for it. Don’t use drugs to open your perceptions. Just open them. That’s further advice: avoid drugs. Whatever brief inspiration or insight they might offer in the short term they quickly make you pay for, through the nose (or through the track marks, or through the lungs). They will dull more than sharpen, especially for writers. Approach life head on and really look at everything around you—and I mean everything—as if you’ve never seen it before. You won’t need drugs and you’ll see things. 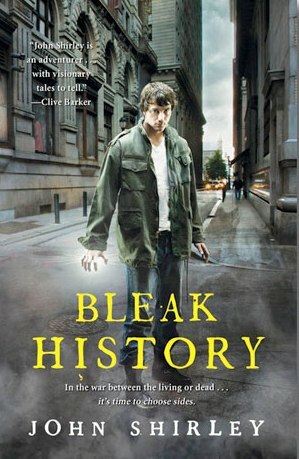 A lot of people now seem to think that story forms and words picked up from comics, videogames, and movies, is enough to take into the writing of a novel. It’s astonishing to see that many new ebook authors are at best semi-literate. Many don’t know the difference between your and you’re, or their and they’re, and they think it doesn’t matter. It matters! Read a great deal and not just in your favorite genres. Read good literature of all kinds. If your reading is narrow your writing will reflect that narrowness. Read biographies, good ones, to understand people better than you do. Write lushly only if you can justify it—that is, if you’re saying something real with the lushness. Don't bore your reader. Use only necessary description—how much is necessary varies with taste. But think about the question of how much is enough. Make the first line and the first paragraph immediately intriguing in some way, and when in doubt I recommend starkly straightforward prose. When writing genre fiction, you probably want to make it full of tingling implication, but without melodrama, and without cornball excess. Some people who are really good at creating characters can get you interested just by making us see those characters in their ordinary day to day lives with such clarity, in the very first lines, that we’re fascinated. But if you can’t do that, then go for intrigue. Have a beginning and an end in mind before starting the story—at least. You can make much of the story up as you go and cut it later—but do have some kind of direction. However, that rule doesn’t apply to writers to whom it doesn’t apply and they know who they are—some people tell stories almost like automatic writing. Try to tell the truth about something—give us something true about humanity or life even if the story is wildly fantastic. People respond to honesty and insights into life. It’s okay to start out writing in the manner of your favorite writer as long as you know that you should develop your own voice as you go. That’s more than enough from me. Jack Vance once said that he didn’t like to talk about how he did things because it's like a stage magician revealing his tricks. Now look what I’ve done. 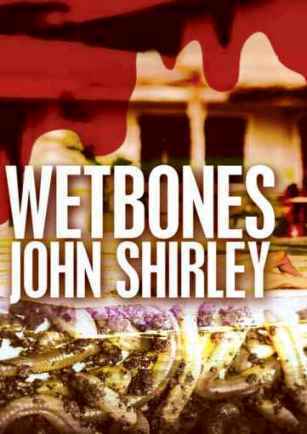 John Shirley has won the Bram Stoker and the International Horror Guild awards. 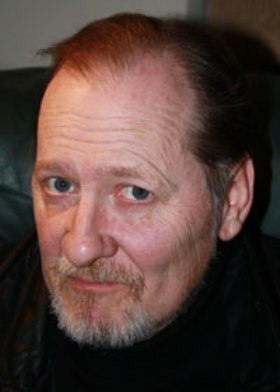 John Shirley is the author of numerous works of horror, dark fantasy, noir and science fiction. He was co-screenwriter of the movie THE CROW. He won the Bram Stoker Award for his story collection BLACK BUTTERFILES. 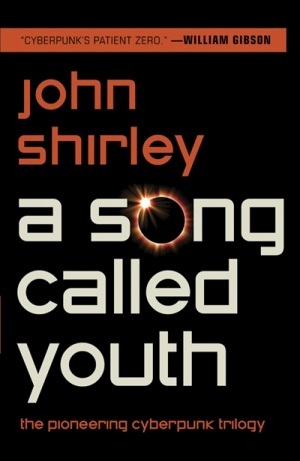 His novels DEMONS (Del Rey books), BLEAK HISTORY (Simon & Schuster) and A SONG CALLED YOUTH (Prime Books) are still in print. 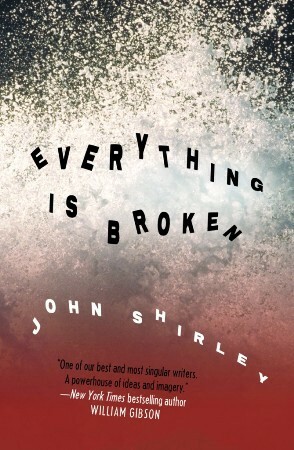 His newest novel is EVERYTHING IS BROKEN (Prime Books); his newest story collection is IN EXTREMIS: THE MOST EXTREME SHORT STORIES OF JOHN SHIRLEY (Underland Press). www.John-Shirley.com is the authorized website.